Hair loss? Then you need to go to the root of the problem. 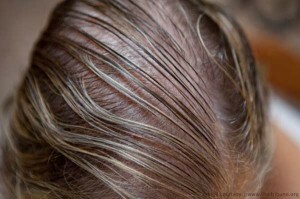 The most common problem with hair loss is reduced nutrition and blood flow to the scalp and the hair roots. At Dr. Dixit, we bring you Enrich, a special Hair cocktail with a combination of potent vitamins and growth factors essential to bring your scalp and hair health back to normal. Do I need Enrich – Hair root treatment? After a detailed evaluation of your scalp, the dermatologist will select the appropriate solution customised for you. Then the solution is delivered either through micro injections into the scalp or through the dermaroller. You need treatments every week till the hair fall stops, then the treatments continue every fortnight till the desired results are seen. How many sessions of treatments do I need? Usually you need two to four treatments for the hair fall to stop, and there after you may need six to eight more treatments to see the desired results. How soon can I see results after treatment? Consult Dr. Rasya Dixit to know more about hair root treatment.